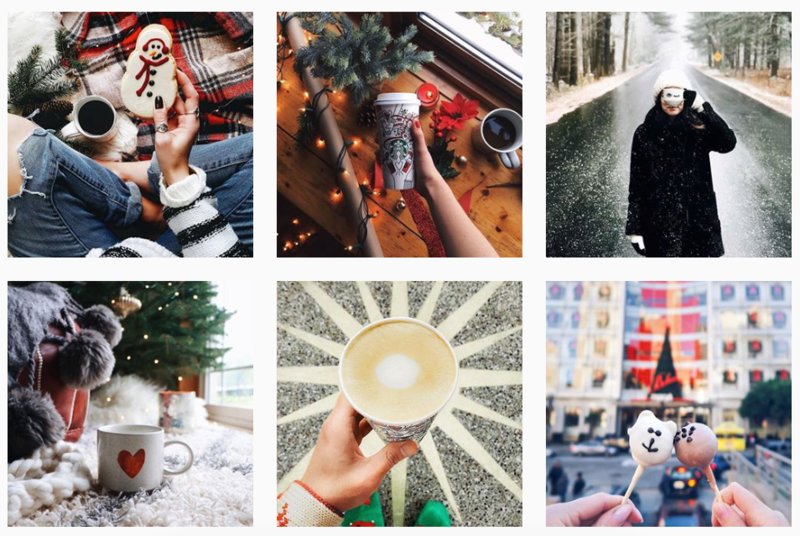 With the holiday season quickly approaching, it’s that time of the year when brands need to get their Christmas Instagram campaigns all lined up! With planning top of mind as the final weeks of 2018 fly by, agencies, brands and businesses need to start scheduling and launching their Christmas marketing campaigns in preparation for the busy weeks ahead. To help you nail your Instagram marketing this season, we’ve highlighted ten marketing ideas that will make your festive Instagram campaign a success and turbocharge sales. If you’ve switched your account to a business profile, you’re already one step ahead. 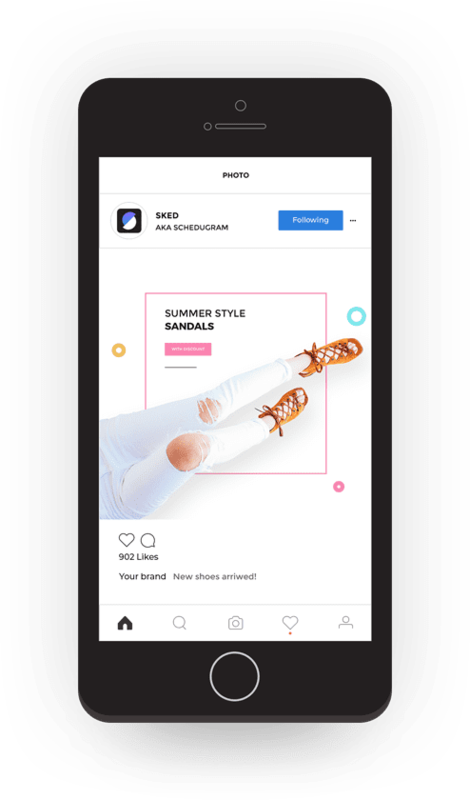 Next, you’ll need to set up Instagram shopping which allows you to start tagging products in your posts and stories. Doing so will increase the number of sales generated from Instagram, mostly due to users having direct access to products, rather than browsing your website. When sharing content, make sure it’s high-quality and crafted for your audience. If you look at the item and wouldn’t consider buying from the post yourself, then why would anyone else? Since many people have a hard time finding and choosing the right gifts, a great idea to generate more sales from product tagging this Christmas could be 10 gifts for $10 guide. You could create them based on gender, price point, products, friends and family members. If your product is available in various colors or sizes, make sure to add these options to your product page too. While your full product listing may be available on your site, it’s best to make your Instagram product page as complete as possible. Users won’t be willing to navigate to your site to complete their purchase if the product doesn’t sell itself! IGTV is a fantastic way for brands to connect with their audience to increase trust and engagement. By showing the human side to your brand, you’ll instantly build a better relationship with your followers. During the Christmas season, you should consider sharing behind-the-scenes content, tutorials or even start a daily/weekly Christmas show, featuring a special discounted offer for particular products you sell. Research has proven that 80% of brand audiences would rather watch a live video than read a blog, and 82% prefer live video from a brand to social posts. One of the most popular Instagram updates of the year is the music sticker (note: this feature is still in limited release). This Christmas, it doesn’t get any more festive than using the music sticker to add Christmas songs to your Story posts. As Christmas draws closer, why not tag a new Christmas song with a product offer or a happy Christmas joke. Not only does this provide additional variety to your content, but it also creates a memorable token in the minds of your audience. Adding music to your Instagram Stories is very easy. Just tap on the stickers icon, then tap the music sticker, browse and choose one of the built-in songs and you’re good to go. If you can’t find the music sticker, it might not yet be available in your country. They’ll definitely spice up your Christmas Instagram campaigns! User-generated content (UGC) is one of the best performing types of content. 68% of millennials recognize UGC as an indicator of a brand’s caliber. If you aren’t utilizing UGC in your Instagram marketing already, you’re definitely missing out on lucrative opportunities. This Christmas season, if you haven’t already, take advantage of UGC and run a weekly or monthly competition encouraging your audience to share their content featuring your product or brand. 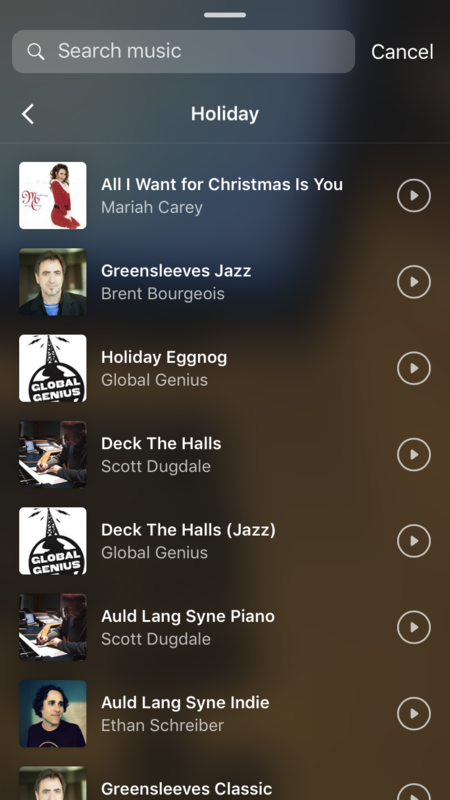 Last Christmas, for example, Starbucks shared holiday-themed user-generated content that featured their Christmas cups and products. Consumers love having their content repurposed by a brand! Not only does it provide you with free high-quality content but it also gives kudos to your most loyal followers and builds social trust, resulting in more sales. A ’12 Days of Christmas’ countdown is a structured holiday campaign that delivers engagement over an extended period of time. You’ll see many brands implementing this tactic as it generates a fair amount of engagement, interest, and sales. As each day comes, offer a discounted product, or even better, a limited edition product that is only available for those that purchase on that day. This type of content generates prolonged buzz, creates a sense of urgency and scarcity, and encourages your followers to return to your feed on a daily basis. People love to take part in quizzes. They allow you to understand the needs and interests of your buyers in a fun and rewarding way. The Carshop utilizes the poll and question stickers extremely well. During a big brand event or holiday, they create questions and encourage their audience to participate in quizzes to test their knowledge of different car brands. During the World Cup, they utilized the feature by showing off different cars hailing from the winning countries. For the Christmas period, take advantage of the poll and quizzes sticker by running a daily or weekly festive quiz, potentially even giving rewards at the end for the most accurate answers. The reward can be big or small. Followers will even appreciate a discount code if you can provide the offer. Similar to festive quizzes, you can also run a Christmas-themed poll. Place the focus of the poll on your products, then utilize product tags to generate increased traffic to your website. There are endless ways you can take advantage of polls. Get creative and don’t be afraid to experiment with them! Who doesn’t love a brand that spreads the holiday spirit by working with local businesses and charities? Implement this strategy this holiday to extend goodwill and build further trust with your followers. If marketed well, this could generate lots of buzz and PR too, driving even more sales and brand awareness. A giveaway is always a great idea! If you’re considering running a Christmas-themed giveaway this year, set up an effective funnel and offer an exciting prize for the winner. And don’t forget about those who entered and didn’t win! For the runners-up, remember to offer an exclusive discount code. This approach builds increasing rapport with your followers and entices them to purchase your products. Thanks to Instagram’s new Nametag feature, sharing your account on product packaging and marketing material is easier than ever. 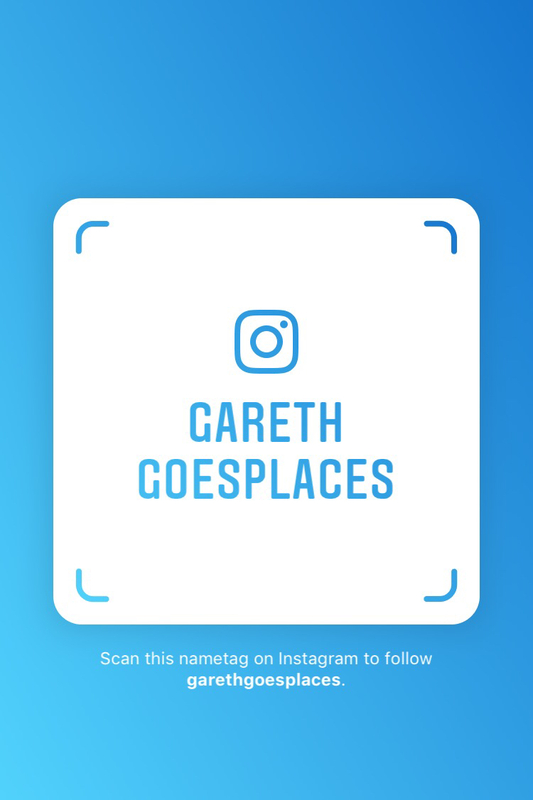 Instagrammers can scan the code and they’ll be directed to your account, after which point they can follow you and engage with your followers. Sometimes we all need some inspiration to get our creative juices flowing, so here are a few examples of successful holiday campaigns. 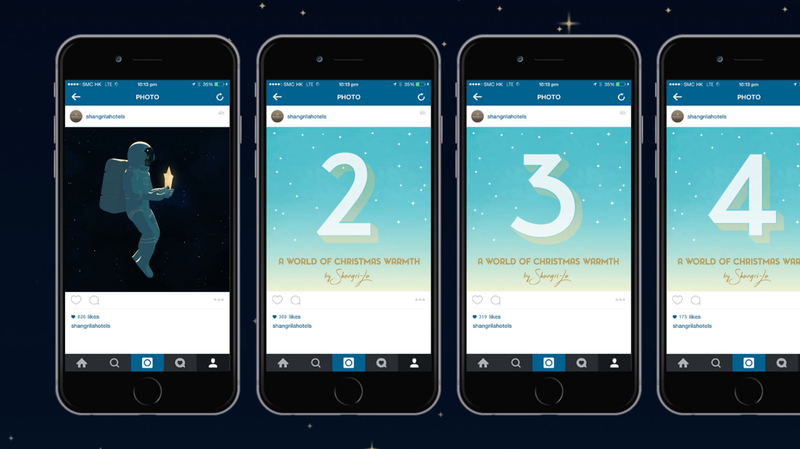 For Shangri-La’s 2015 festive social campaign the hotel chain created a magically animated advent calendar for both Instagram and WeChat. It followed the journey of a Christmas star as it traveled to Earth and was welcomed by a myriad of whimsical creatures and characters. A new 15-second episode was every 25 days and featured the star visiting a new global Shangri-La destination where it was met with warmth and kindness. In less than a month, the campaign earned millions of impressions on both platforms and increased Shangri-La’s Instagram following by 20% and its WeChat following by 40%. On December 25th, Shangri-La released a full five-minute video recapping the entire journey. Check that out below. 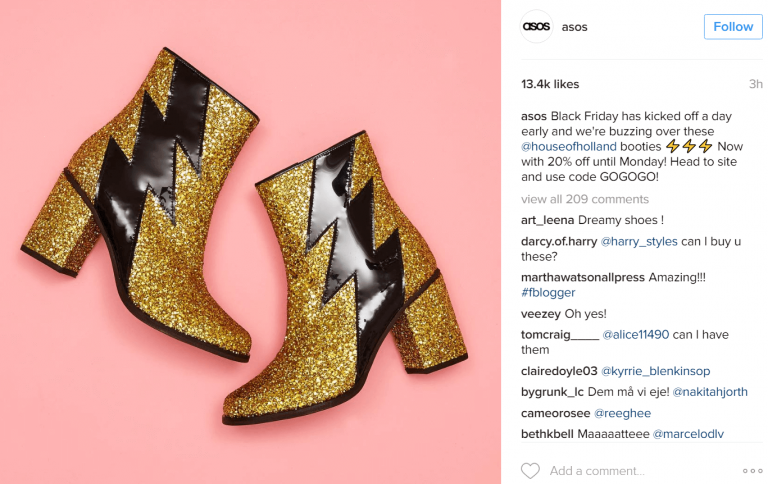 During Black Friday madness, ASOS announced the 20% off promo code, “GOGOGO.” To support the Black Friday discount code, ASOS shared a pair of gold sparkly boots with lightning strikes on them. It was an image that perfectly encapsulated the flash sale. That single post generated over 13,000 likes on Instagram in just three hours. Last year, Italian luxury brand Bulgari launched an interactive fundraising Instagram campaign as part of their holiday marketing initiatives. As you scrolled down the page, you were taken through a total of seven different magical sections of the factory. Each post displayed Bulgari items such as the handbags, watches, jewelry, and fragrances. And after reaching the end of the feed, an eye-catching hexagonal button displayed the words “Save the Children” with their call to action mentioning “Join #SeeMyWish”. As you scrolled down the feed, you were taken through a total of seven different magical sections of the factory. Each showing Bulgari items such as the handbags, watches, jewelry, and fragrances. When you come to the end of each post, an eye-catching hexagonal button displays featuring the words “Save the Children” with their call to action mentioning “Join #SeeMyWish”. This campaign’s objective was to encourage other users to share a headshot of themselves making a wish. Every post shared with the branded hashtag #SeemMyWish, prompted the brand to donate $1 to Save the Children Charity. The outcome was a huge success, raising a total of $500,000 for the charity. When it comes to your Instagram feed, you’ll want to make sure it’s stunning and eye-catching. But for the Christmas period, you should consider making your feed very festive and stick to a consistent theme that blends well with your existing brand aesthetic. Not only will it look easy on the eye, but it’ll also align your brand with positivity, and who wouldn’t want that? After your Christmas Instagram campaign is complete, remember to take a look back on your content’s performance using a robust analytics tool. Examine post performance, follower growth and more to improve the results of your next campaign. Planning your Christmas Instagram campaign as early as possible allows your creative juices to flow freely and puts you in the best position to execute your holiday marketing ideas flawlessly. Hopefully, all of the above has come in handy and will help you get started. Putting a few of these marketing ideas in place with a successful Instagram growth strategy will help you dominate the platform.